This depraved film of barbaric proportions was released to the World in 2003,Directed by Rob Zombie on his Debut ,a Death Metal Singer in his own right,but he had made and directed a lot of his music videos. It was always inevitable he would try his hand at a full film feature. 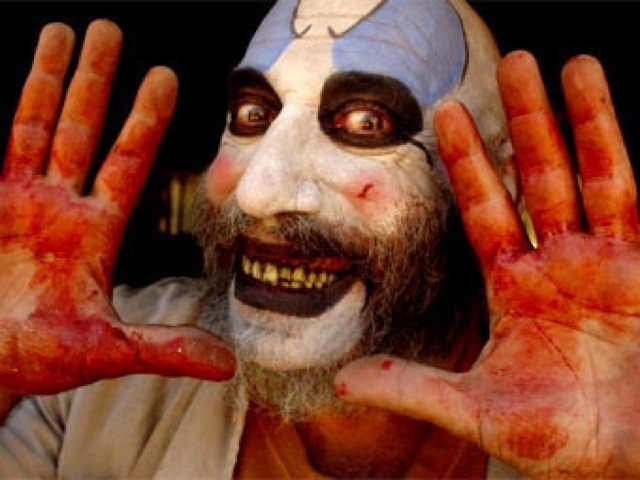 And he released The Firefly family on to the world,with apart from Pennywise the Clown,we had the people's next favourite clown Captain Spaulding, played wonderfully by Sid Haig. We have an exploitation flick,with a mix of some of the sickest movies from the seventies,put in a pot,and sifted together,and we get this film. We were also introduced to the Wife of Rob Zombie Sherri Moon Zombie,who unfortunately starred in every one of his films made since. We have the usual Car full of teenagers on a College Road trip,writing a piece about American violence,where they stumble on Captain Spaulding's wonderful Museum of the macabre,about Horror and Tourture,and somehow being invited back to the Lovely Firefly household,where all the depravity,violence,Tourture starts. We have the usual introductions to the rest of this manical family,each as weird,and disgusting as the next. The problem is with this Debut,we see nothing new,to what we have already seen before,just a rehash of ideas,practically stollen from other great films,but not done as well,with every trick,and camera work,put in from what he had learned from making Music Videos. 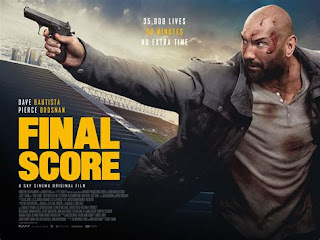 We have not an entirely disappointment of a film,but still we have a film,that is quite simply average. 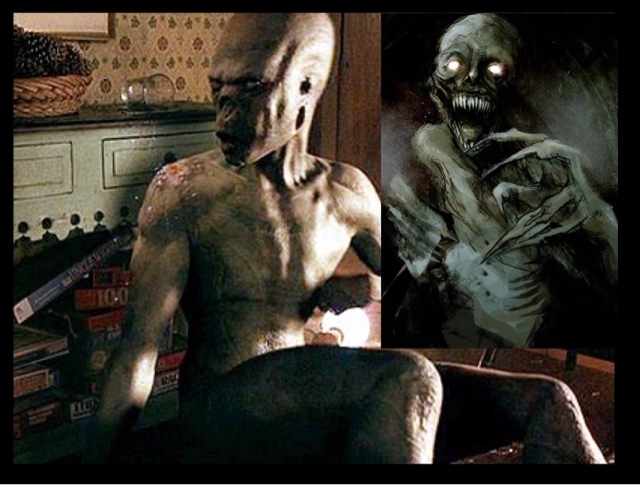 A film that even the distributors didn't really want released,being filmed in early 2000,and almost canned,with Rob Zombie acquiring the rights once more and selling it to another film company. This film has since achieved a cult status,with the one character selling this average film,and that is Captain Spalding.